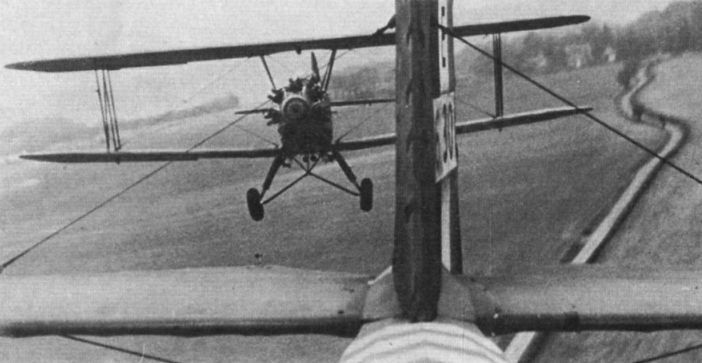 Sinclair (Christopher Plummer) struggles with his camera amidst shot and shell. 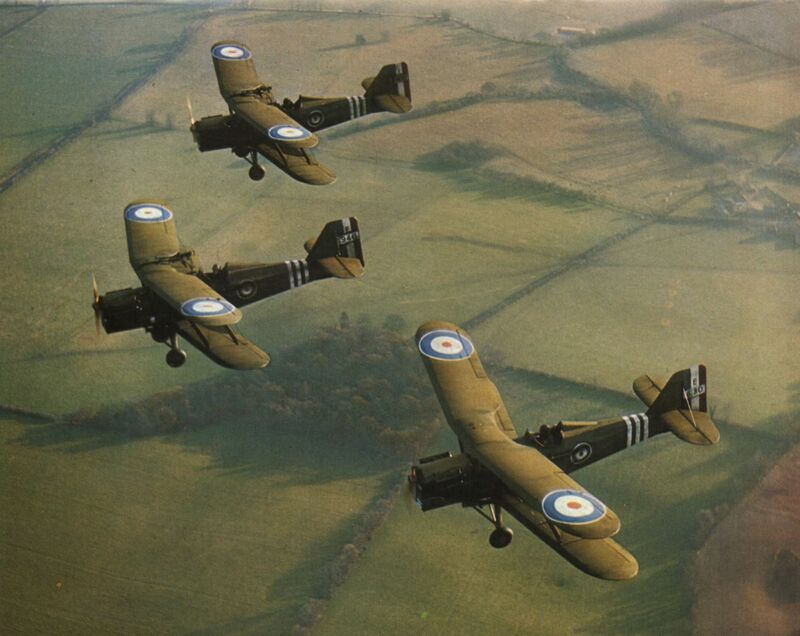 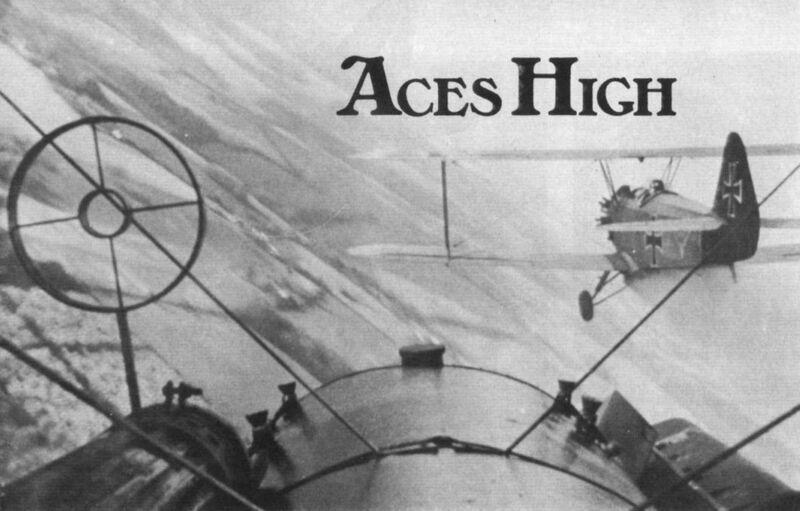 The three Stampe/S.E.5A conversions for the film Aces High set out from Booker on a "dawn patrol". 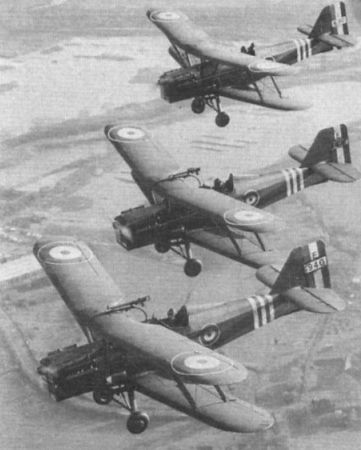 The three Stampe/S.E.5As in echelon. 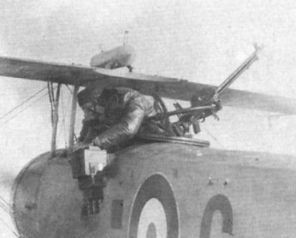 Tables turned. The Vima hot on an S.E.5A’s tail. 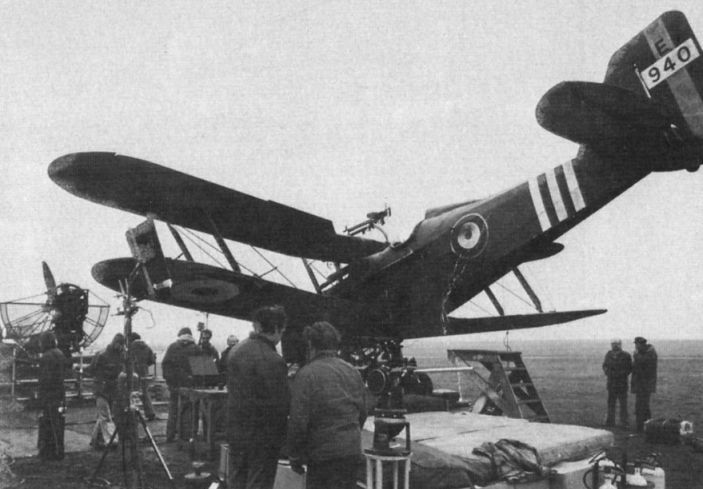 A fourth S.E.5A positioned for filming close-ups of the "in-flight bale-out” of a flaming stuntman. 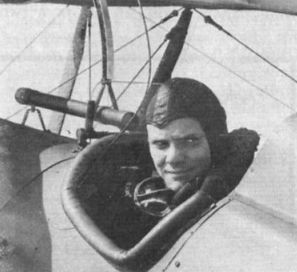 Malcolm McDowell, alias "Gresham” in his S.E.5A cockpit.